You can see in the photo how the PH booster and emulsifiers were able to break down the soil making it easy to rinse away. 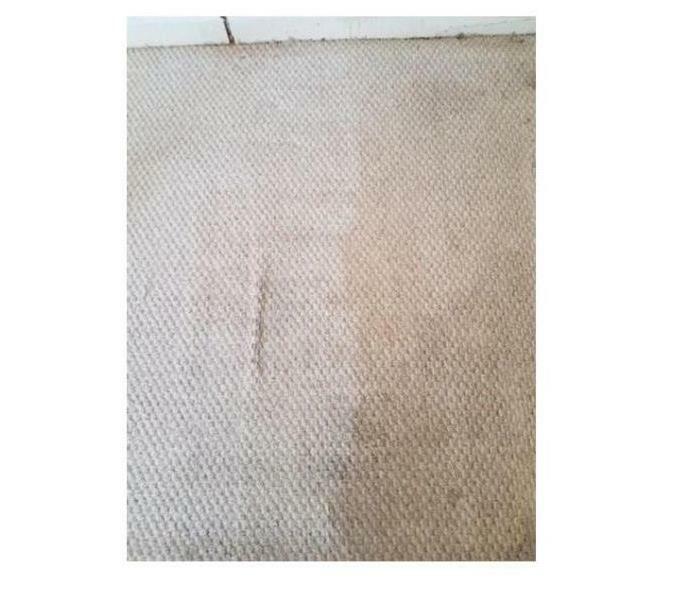 If you live near Toccoa Ga. you should well understand the challenges in keeping carpets clean. North East Georgia is known for its thick and highly visible 'red clay' which tends to stick to every object, person and place. This customer was considering the need to replace their carpet but, in an effort to save money called SERVPRO to give a best effort in removing the clay. Our technicians have been trained with a wide variety of techniques, tools and products in order to give our customers the leading edge in carpet cleaning and restoration. In this situation our technician applied a pre approved solution of detergent, PH boosters and emulsifiers specifically designed for heavy soiling. Next he Scrubbed the carpeting with a soft bristle rotary machine and rinsed everything away with a hot water steam extraction. With the carpet now looking good and smelling fresh large fans were set to speed drying so it could stay that way. Built by Hydra-Master the RX20 is the premier tool to use and gives our techs the edge when a standard steam cleaning is just not enough. 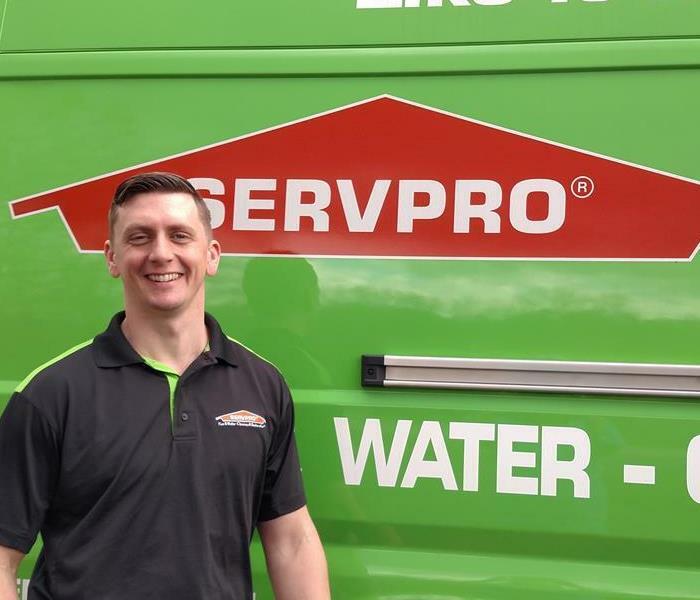 With carpet cleaning on the forefront of our services in Lavonia Ga. SERVPRO would like to take the time to show why our carpet cleaning services are leading the competition. In this feature we will discuss the RX20 rotary extractor and how it improves the cleaning without adding cost to the customer. SERVPRO technicians love the RX20 because it works hard giving 650 cleaning passes per minute, never gets tired and it delivers the same great results from beginning to end. All this work allows the carpet technician to focus more time on troubled areas and less time in your home, less time in your home = less money out of your pocket. 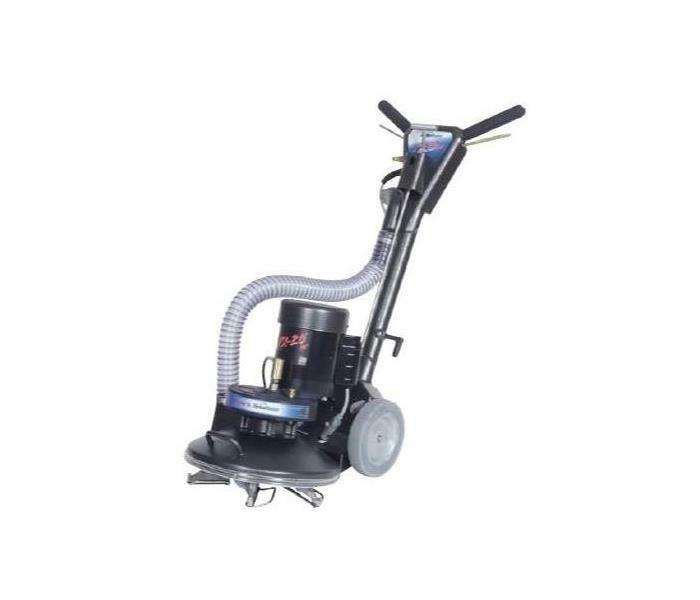 Our customers love the RX20 because its powerful jets and extraction ports sink deep into the fibers to clean all the way through, from tip to base without getting the carpet backing or padding wet. This makes dry times significantly lesser and allows our customers day to resume much sooner. In our opinion the RX20 delivers the best clean results and promotes the fastest drying times making it a foundational tool for any Carpet tech. If you live near Lavonia Ga. you should well understand the challenges in keeping carpets clean. North East Georgia is known for its thick and highly visible 'red clay' which tends to stick to every object, person and place. Goodwill in Cornelia makes it easy to attend by being an excellent host! 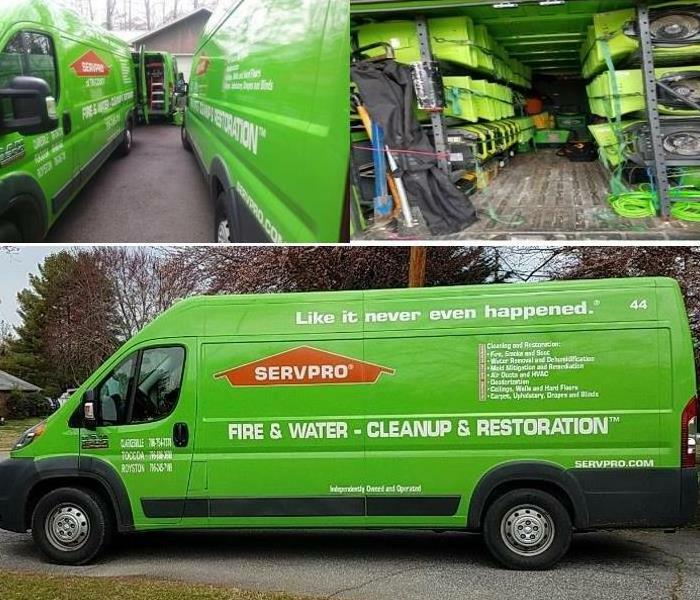 With the industry booming and a variety of services being offered, no matter if you are looking for some extra money or are looking for a trade to further your future or career SERVPRO is always searching for new talents to add to our team. 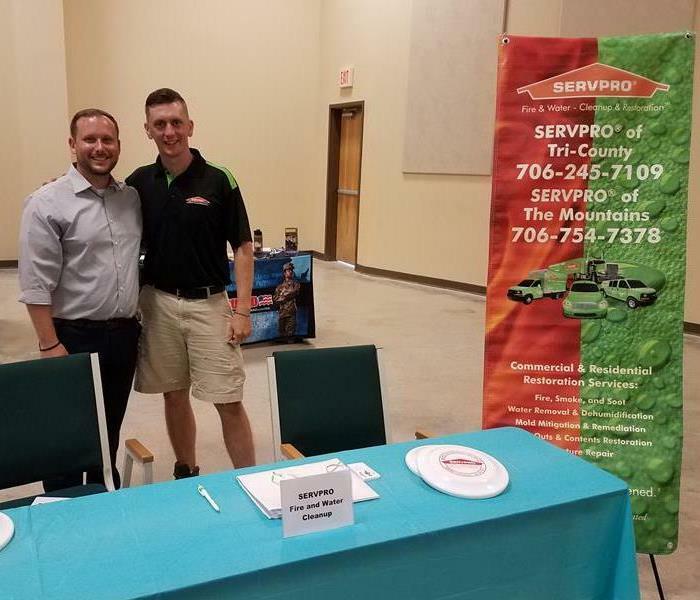 Along with our online application process our local SERVPRO is happy to work with ‘Goodwill’s Career Center’ to present to its hosts and attendees the opportunities that are currently available. This also gives us a moment to connect with those interested and explain those opportunities in more detail. Aside from the talent search the “Put People to Work” initiative is an excellent resource to educate the community on what services we offer, why we offer them and why our team is the best in the business. 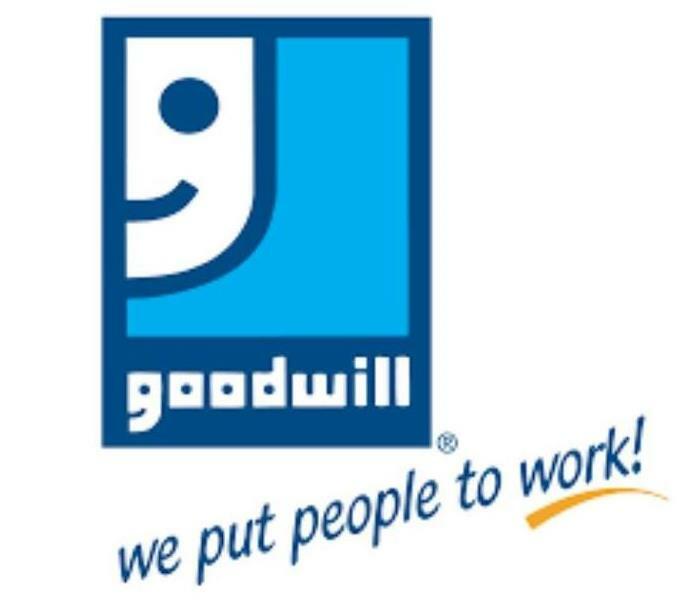 If you love the service industry and are geared to helping people in their time of need, plan on attending Goodwill’s job fair as our team would be happy to meet you and discuss any opportunities available. Kudos to Pleasant Grove Baptist for taking on the burden so many families face. For more information, contact John Todd at 706-245-5429. We would like to recognize a vision that has come to fruition by one of our local churches. 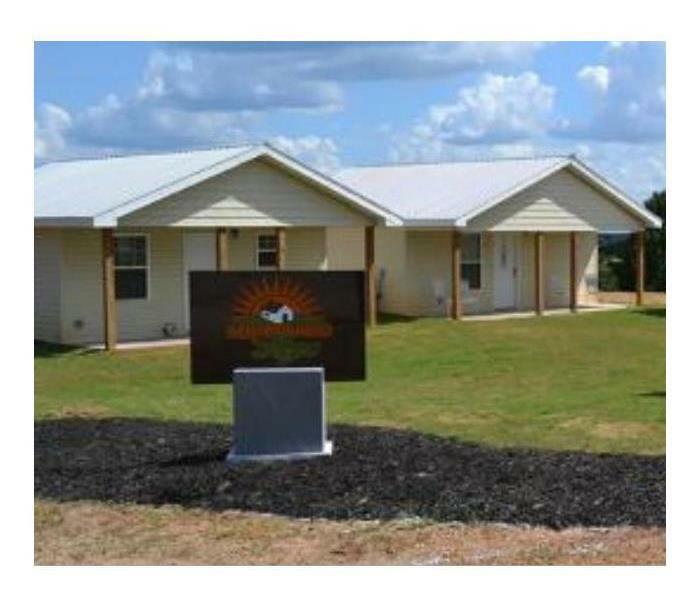 “Neighborhood of Hope”, designed to help families in need of housing was built by Pleasant Grove Baptist to provide a safe space for families to live while their lives are being rebuilt. When families have been removed from their homes by fire, flood and other various situations the church has always been eager to help even if the reach was limited. Now, with the newly developed neighborhood the church can further their reach by warmly hosting families and taking the burden of shelter off their plates. When a family or individual arrives, they are interviewed and given clothes and basic necessities. The church ensures the correct paperwork is completed and hopefully move the family in within a day. Residents then sign a week to week agreement to care for the home and, based on income, would pay a weekly reimbursement fee for electricity. Where did the sign go? SERVPRO’s Royston location is improving drivers safety with some much needed road work. You may have noticed our “missing” road sign. The message board is a staple for our local community which gives travelers the most current information, safety tips and always includes a touch of humor. The sign is noted by several our customers as being something they look forward to reading each day. The good news is that the sign is only being relocated as a larger project is unfolding. 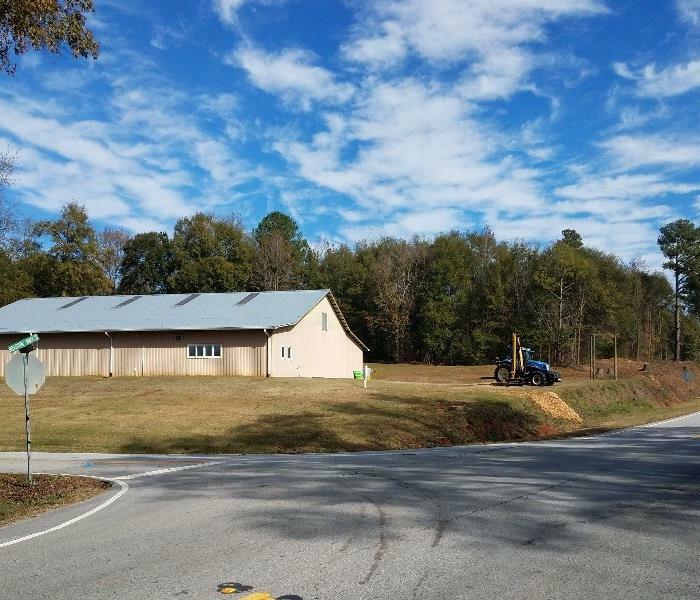 If you have ever left or frequently passed our Royston location, you would have undoubtedly experienced the extremely limited sight range motorist have upon entering State Hwy 29. The project is being facilitated by the Dept. of Transportation and includes tree removal and grade work to bring the ditch several more feet away from the road, greatly improving visibility. Time range for this project is uncertain but we will be working hard to get the sign replaced. Until then, feel free to browse our web page or Facebook site for the most recent news. 11/21/2018 - Where did the sign go?